Text should be set in Times New Roman, 12 point type, justified left, with one-inch margins on all sides. Number each page, including figure legend, figure, and table pages. Cite each figure in numerical order in the text; cite each table in numerical order in the text. 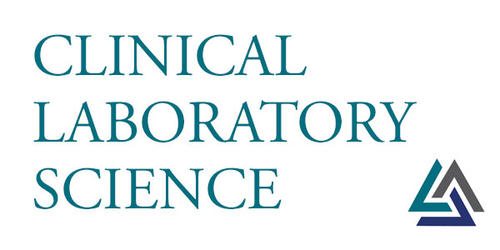 Authors may familiarize themselves with Clinical Laboratory Science by reviewing a recent issue. Manuscripts may be up to 3000 words but can exceed the word limit with permission of the editor. It is recommended that manuscripts include up to one figure or one table for every 750 words. Figure and table will be reviewed by the editor for appropriate usage. Manuscripts are accepted with the understanding that they are contributed solely to Clinical Laboratory Science. If separate manuscripts are produced from a single study, authors must provide a copy of the other manuscripts, and must cross-reference all manuscripts in the reference section of the submitted manuscript. Any potential conflicts of interest related to the manuscript must be described. The cover letter must contain the name, degree, certification, affiliation, address, e-mail address, and telephone numbers of all authors. Submit manuscripts to the CLS Journal editorial office at https://www.submit-ascls.org/. What is needed to submit your manuscript? A single document containing the title page; abstract; text; references; figure titles, captions, and legends; and tables should be submitted. Use page breaks to separate sections. Submit the signed permission documents listed below. Documents may be signed electronically. Alternatively, they may be signed manually, scanned and submitted via email as attachments to the managing editor. Manuscripts are reviewed only after these signed documents are received. The documents indicated below should be included with the initial manuscript submission. Author Contribution: If more than three authors are listed, documentation must be provided to confirm a significant contribution to the manuscript from each. All authors must sign. Copyright and Exclusive Submission Agreement: A signed copyright agreement must accompany the initial submission of all manuscripts. Financial Interest: Authors must describe any direct or indirect financial interest they may have in the subject matter of a submitted manuscript, and they must authorize Clinical Laboratory Science to publish this financial disclosure with the article if deemed appropriate. Authors must disclose all sources of funding, materials, or equipment contributed or loaned. Rights and Permissions (if applicable): A statement of permission from the publisher and author must be provided to reproduce any previously published figures or tables. Any such material must be clearly noted and its source given in the manuscript. A signed permission statement must accompany photographs of patients or personnel who could be recognized; otherwise, the eyes must be blocked out to prevent identification. Please add this document as a supplementary material. Presentation of the Work: (if applicable) Authors must provide the meeting name and date if the manuscript or a poster has been presented at a meeting or has been accepted for presentation at a future meeting. Please add this document as a supplementary material. The title should be descriptive and may not exceed 150 characters. The title page should include first and last name, degrees, certification, title or job description, and professional affiliation of all authors. Academic degrees are limited to highest degree earned: masters and doctoral degrees only. Include in addition the name, address, phone number and email of the corresponding author. Though an unstructured abstract is preferred, if a structured abstract is desired, it should use the following sections with headings in order. It is not necessary to include all ten headings; include only those that apply to the study. Objective: State the hypothesis being tested or the procedure being evaluated. Design: Briefly state what was done and what materials were used, including number of subjects. Also include the methods used to assess the data. Setting: Indicate where the study took place. Participants: State the clinical disorders, eligibility criteria, and demographic features of participants. Interventions: Features of any interventions, including method and duration of administration. Main outcome measure(s): Indicate the primary study outcome measurement(s) as planned before data collection began. Results: Provide the findings with indicators of statistical significance. Include actual data. Conclusion: Summarize in one or two sentences the conclusions based on the findings. Abbreviations: Define initialisms, acronyms and abbreviations. Index terms: Provide three to five MeSH index terms: http://www.nlm.nih.gov/mesh/. For case studies, research articles, review manuscripts, and clinical practice articles an unstructured abstract is preferred. An unstructured abstract must be 250 words or fewer and must state what was done, what was found (results), the conclusions, all abbreviations, and 3–5 index terms. Use MeSH headings as a guide in selecting index terms, available from http://www.nlm.nih.gov/mesh/. The text of observational and experimental studies is arranged in sections with the headings: Introduction, Materials and Methods, Results, and Discussion. Articles may require subheadings within some sections to clarify their content. Acronyms and abbreviations must be defined at first mention in all text, tables, and figures. Avoid laboratory slang, clinical jargon, and uncommon abbreviations. Manuscripts reporting the results of experimental studies on human subjects must state that informed consent was obtained after the nature of the procedure(s) had been fully explained. To save space, if methods have been previously published, the author may cite the prior publication. Generic names of drugs must be given. Authors may acknowledge assistance from other researchers in an acknowledgement section. Authors must report all sources of funding, materials, or equipment contributed or loaned. This section should be brief and to the point without excessive length. Verify all citations against original sources, especially journal titles, inclusive page numbers, publication dates, accent marks, and spelling, especially for languages other than English. Accuracy of reference data is the author's responsibility. Cite references in numerical order according to first mention in text. Do not use automatic numbering. Citation format for references should conform to the International Committee of Medical Journal Editors (ICMJE) uniform requirements, located at http://www.nlm.nih.gov/bsd/uniform_requirements.html. Abstracts may be cited only if they are the sole source and must be identified in the reference as "Abstract." "In press" citations must have been accepted for publication and the name of the journal or publisher must be included. Do not duplicate data in figures and tables that appear in the text. Figures, including line drawings, graphs, charts, photographs, and images should be limited to what are required to show the essential features described in the paper. Number figures with consecutive Arabic numerals. Locate figure number, title and caption at bottom of figure. Figures are encouraged to be submitted in color, however, authors should avoid excessive use of color when it is not warranted and to be considerate to those scientists who may not be able to differentiate all colors. Figures must fit a standard 8.5 x 11 inch portrait orientation page. If there are concerns with the size of tables or figures contact the editorial office for suggestions. Clinical Laboratory Science only accepts high quality computer-generated images that produce a clear figure when printed. Images must be saved in high-resolution format (300 dpi) using encapsulated Postscript (.eps) or tag image files (.tif), but not .jpeg files. For black and white line drawings, PowerPoint files are acceptable. Graphs or charts produced with spreadsheets such as Excel, are acceptable. A caption that does not duplicate text material must be supplied for each figure. If there are abbreviations or symbols in the figures, they must be defined in the figure legend. The caption text or figure legends may not be embedded in the figure image. Any figure that does not follow the above specifications may be returned to the author for reformatting prior to publication. Each table must begin on a separate page. Number tables with consecutive Arabic numerals. Locate table number, title, and caption at top of table. Supply a brief heading for each column and title for each row. All abbreviations used in the table should be explained in a footnote. Table functions may be used, but avoid cell borders or shading. Avoid automated equation or other automated cell functions. Indicate footnotes in tables using lower-case letters. Tables must fit a standard 8.5 x 11 inch portrait orientation page. If there are concerns with large tables please contact the editorial office.